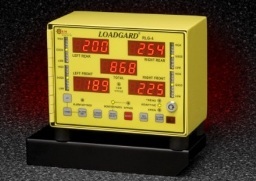 Invented by Helm over 25 years ago, tonnage monitor trend alarming allows you to establish the quality window that the process must operate within. Limits are selectable from 5% to 45%, in 5% increments. Once the forming process begins, the Trend alarms are automatically set above and below the sample benchmark value. Machine shutdown is activated if the forming force varies outside the tonnage monitoring range. Changes in material thickness, hardness or temper are quickly detected with this tonnage alarming method. Upper and lower limits are continuously adjusted during the production run based on the average tonnage developed over the last 100 machine strokes. 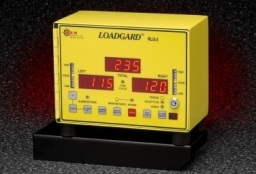 Adaptive learn alarming is ideal for high speed forming operations and guarantees precision tonnage control. Utilizing Helm signature analysis techniques, this alarming method continuously monitors the energy curve developed while each part is formed. If any area of the forming tonnage signature changes, machine stop is initiated. Area under the curve tonnage monitoring does not require a resolver or other external timing device. Applications include presses performing deep draw or stretch forming operations and machines using nitrogen die cylinders. 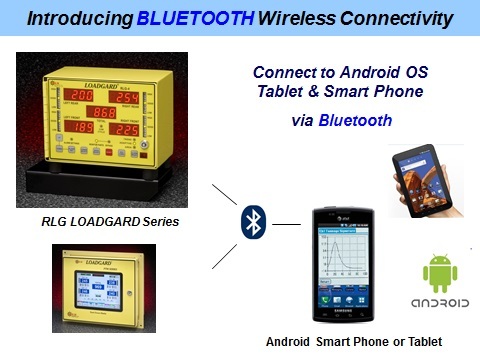 The RLG tonnage monitor includes bluetooth technology for capturing tonnage and signature information on your Android® device. Current tonnage readings, the last 200 overload events and 1000 tonnage signatures are stored in the RLG. Each overload is displayed with a date and time stamp and the tonnage signatures are viewed in real time or retrieved from the history file. Output Relays – Two independently wired relays for capacity and selected alarm functions. Each relay rated at 24 VDC, 1/2 Amp. 110 VAC system supplied with two 24-volt dry contact relays.